Description Arimino Caretrico Shampoo Type H is a unique formula shampoo that repairs g.. Ideal for fine/ curly/ damaged/ color-treated hair. 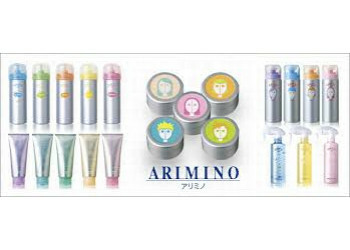 Description Arimino Caretrico Shampoo.. Description: Great style, greater quality. This unique serum serves as a styling base to help.. Ideal for straight hair prone to tangles. Description: Spice mist is a mist type for hair.. Ideal for straight hair. Description: Spice sister is a style with creamy wax (make up stylin.. Description: What it is: Creates a soft flexible texture that enhances hair movement with A..